Naloxone is an easy-to-use, lifesaving antidote to overdose from opioids including heroin, prescription pain medications like Vicodin and oxycodone, and medically assisted treatment options like methadone and buprenorphine. Used in hospitals for decades, the medication has no abuse potential, costs as little as one dollar for a lifesaving dose and can be administered with basic training. Please visit naloxoneinfo.org for more info. Who can get trained to administer Naloxone? 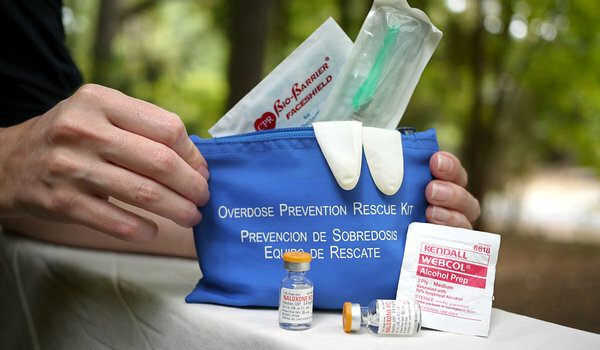 According to Illinois’ Overdose Prevention Act, any layperson can get trained. 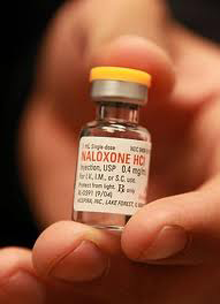 This will allow them to possess and administer Naloxone to a person having an overdose. This also allows us to train individuals who can then go on to train other individuals (this is called the “train the trainer” model). How does one get Naloxone? From us! Our skillful Naloxone educators provide FREE training for community members at our Community Resource Center (CRC). Training is held on a first come first served basis. All trainees leave with a free Naloxone kit and an overdose prevention educational packet. We also provide private learning experiences for groups, businesses, and organizations. Trainings for professional audiences are not free of charge and can be arranged through Laura Fry at [email protected] or 844.584.5254 x803. What will you learn about/take away from each training? The support and resources available for individuals and their loved ones. We offer private comprehensive and customized training for local treatment facilities, police departments, businesses, school staff, legislators, and beyond. Our trainings last approximately two hours with a thirty-minute set-up time. Pricing is based on training time and can come in the form of a tax-deductible donation. We offer reduced rates for nonprofit organizations. To schedule, call 844.LV4.LALI (584.5254) x803 or email [email protected]. For all questions regarding our training, reach out to Laura Fry via email at [email protected] or 844.LV4.LALI (584.5254) x803.